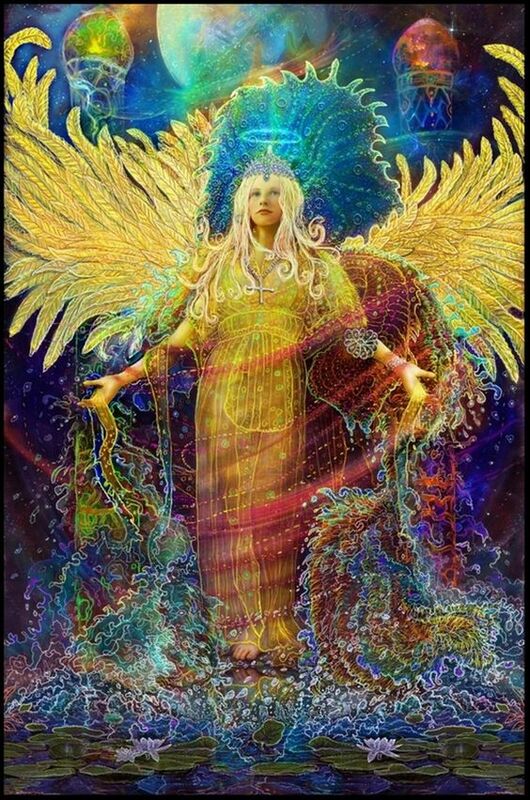 Awakening with the Angels opens a sacred space to work with energies from the angelic realms along with the Ascended Masters and various other beings of a high vibration to attune us to specific vibrations. 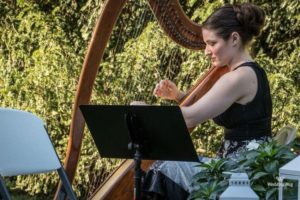 Attunement allows energy to flow to a familiar vibration from the Universe to activate intentions and to more efficiently aid in your co-creative processes. 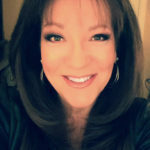 Join Rita as she channels various beings who are coming in to awaken all to the truth of our divine nature which is fully supported, loved and generously overflowing with abundance in all forms. Bring your favorite sacred object such as a crystal or other support. The Language of Spirit is an introduction to awakening the psychic faculties already present within, to an understanding of the ways in which Spirit communicates, and to the groundwork necessary to purify, clear and open these communication pathways. Led by Rita Strough, Spiritual Counselor and Teacher, these classes call upon the Divine in each student to use the channel of the student to articulate wisdom teachings, to aid the self and others in connecting to spirit guides, angels, ascended masters, and other beings of a high vibration as well as deceased loved ones. 10 Week Class will focus on the basic building blocks of unimpeded spiritual communion with the Divine, setting the intention to open and to be of service. Wild Soul Movement is a self-love movement class that incorporates yoga poses, meditation, mantra, discussion, oracle cards, crystals and kinship designed to allow release of negative or low vibrating energy while imprinting positive, high vibrating energy. The “movement” lets the body feel and experience love in a new way, in its own language. Simple yet highly effective. All are welcome! Are you struggling to see things clearly? Are you looking for answers? We have many different solutions for one issue. Often we only see the solution that we don’t want instead of what we do want. Changing our perception changes our outcome. During this session of Angelic Coaching and Development the Archangels will work with us to help us see clearly the full situation and the many opportunities that we have right now. They will teach us how to stay fully grounded while making major life decisions. They will help us focus on the NOW to ensure the best outcome for all involved. Saturday, 10/28 from 1pm – 3pm. This class is $44.00 per person. Bring a friend and get two for $60.00. RSVP to Divine.Being@comcast.net with your name and phone number and the word “Coaching” in the subject line. Sue Roop is a wife, mother, grandmother, and Art instructor. Art, and the expression of it has always been her passion. From an early age, Sue took lessons privately through high school, and continued developing by teaching various ages of children art for 25 yrs while studying Fine Arts at Camden County College and raising 5 children. Several years ago sue found her way into the Canvas Paint Party opportunity and has facilitated more than 50 gatherings. She enjoys watching and guiding guests through the process of painting and creating. 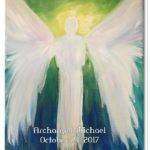 For Just Breathe, Sue will be offering a special series of angelic paintings starting in September with Archangel Gabriel. Each month for four months, we will paint a new angel to add to our collection. It doesn’t matter if you come to one, two, three or all four classes. To join class, please RSVP by following this link to Just Breathe’s website where you can sign up and pay. Class is limited so please sign up as soon as you decide you want to paint with the angels!! Weekly yoga for beginners to more advanced practices at Just Breathe. Wednesday evenings from 6pm to 7pm. Ms. Arati M. Gupta has been performing Indian dance since the tender age of 7. She has performed in various Indian and Non-Indian organizations such as: India Temple Association of South Jersey, Council of Indian Organizations, Voorhees Township Diversity Committee International, McGuire Air Force Base, Philippine Fiesta, Inc and many others. She still performs and now choreographs dances for children and adults. 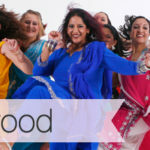 Arati has presented the Bollywood dance workshop from 2010-2013 & 2015-2017 in the Camden County Women’s Health Conference and it was a great success. She along with her mother began a South Asian children’s cultural enrichment program where they taught the students about their rich Indian heritage and Indian dance hosting an Annual Day celebration for three years. Arati became the first Indian Commissioner for the Camden County Commission for Women. She is certified in Usui Reiki healing & Indian Classical Dance. Arati studied henna art from 2011-2013 and became a certified henna tattoo artist training under Ritu Pandya, a master artist, for this beautiful art form. She has been going to health conferences, fairs, and festivals for the past two years and has been recognized for her henna art. Arati is available for henna tattooing for all occasions and events. 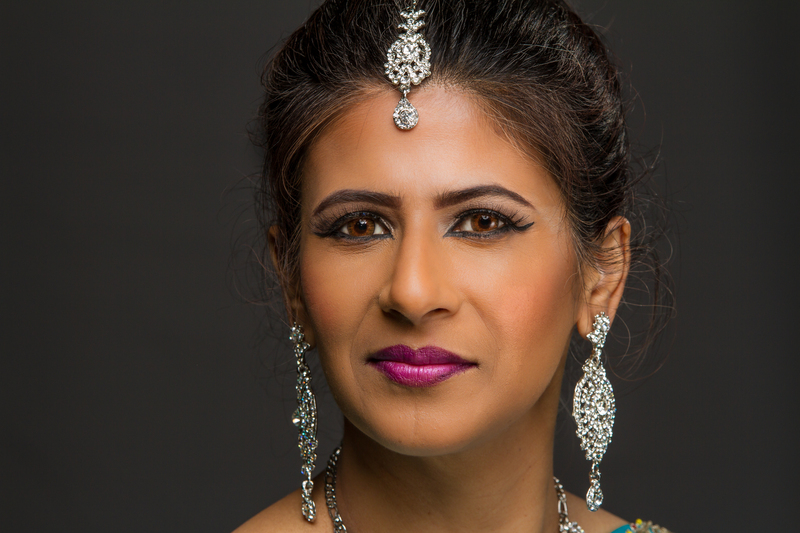 Arati is also an actress and voiceover artist. She has participated in many talent gigs including films, runway fashion shows, commercials, promotions and voiceover projects. She is a currently a voice over Artist for 8-Ball Graphix Animation & Madd Chemistry Productions. 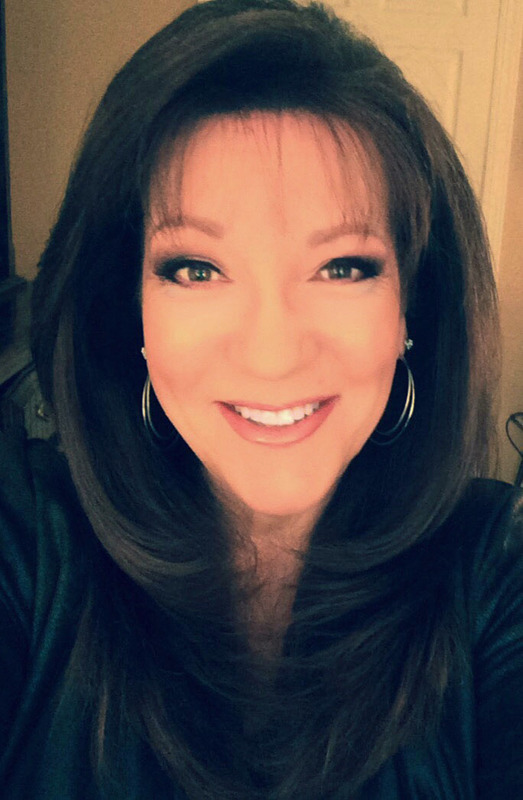 In addition, she is a Radio Show Host at GSNJ Radio. The name of the segment is: “Holistic Lifestyle & Spiritual Horizons” and her show is broadcast every Tuesday evening from 6-7pm at: http://hartthrobmusic.com/artists/arati/. Effective August 1, 2017 she started her own TV show, which is called, “Mornings with Energy Rhythms.” It’s a 30 minute lifestyle show describing various topics and is on the Radio Vision TV Network (Internet TV). 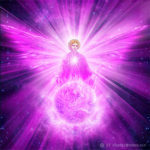 Archangel Zadkiel – Power and Purpose, the cornerstones of transformation here on Planet Earth. AA Zadkiel comes to bear witness to our transformation into powerful beings of light attuned to the Cosmic Consciousness of Love and vibrating at a frequency that draws into us all the powerful energies of our allies in the non physical realms. Join Rita Strough and all who come to experience a transformation from ordinary consciousness into angelic divine consciousness for the purpose of practicing this vibration and lifting the hearts of all on this planet. See beyond the physical with AA Zadkiel’s attunement to the violet vibration of Universal Love. Please RSVP so we can set up for the number of attendees. E-mail Rita at Divine.Being@comcast.net or text AWAKE to 856-296-9771 with your name please. Rayel Sample had been called by the Divine to host Angelic Coaching And Development workshops. The purpose of Angelic Coaching and Development workshops are to help people break through the layers of life and find their true self. The workshops are divinely guided to allow everyone that attends to receive just what they need to move forward on their journey. Rayel was divinely guided to Rita Strough who introduced her to her guardian angel and encouraged her to form a lasting relationship with the angels in 2009. Since that time Rayel has been actively studying and growing closer to the divine. 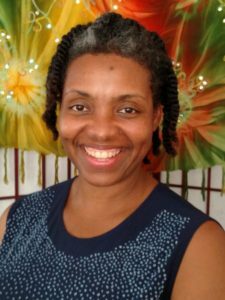 Rayel started her journey with Reiki energy healing in February 2015 and now is a certified Usui Reiki Master practitioner. She is also an Animal Reiki Master since July 2016. 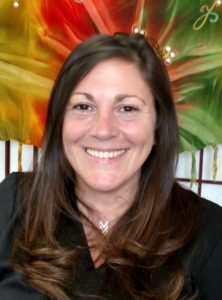 Peggy Garron is an Intuitive & Medium, a Reiki Master and an Integrated Energy Therapy Practitioner. She was born with a caul or hood, often referred to as a “veil,” over her face. Many belief systems hold that being born with a veil is a sign of special destiny and psychic abilities. 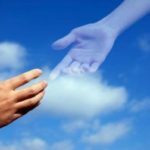 This holds true in her case, as Peggy has been gifted with the ability to receive messages from Spirit, Angels, Guides and loved ones who have entered into Spirit. 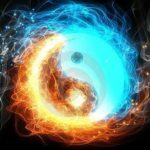 She uses her abilities to heal and guide by lovingly receiving and transmitting messages and by practicing healing modalities, employing her intuition, angel cards and tarot cards to work with clients in order to aid in facilitating positive physical, spiritual and emotional balancing and healing. To connect with Peggy for a consultation, please e-mail her at pgreiki7@hotmail.com or call 609-760-4493. Peggy is available for private sessions in person, by phone or Facetime. We often look at change as a task that seems hard to complete. Most of us associate negative thoughts with the word change. However change is a spiritual growth spurt. Just as babies transition every few months by gaining a certain amount of weight in a short period of time. During this session of Angelic Coaching and Development we will discuss different ways of taking baby steps to embrace our spiritual growth spurt. This will allow us to move through the process faster. Opening and closing necessary doors to our true self and life of abundance. The cost is 50.00 per person and can be paid by cash or check at the door. The purpose for the class is to help people find their way to their true self. So often we are lost along the journey of finding ourselves that we become what everyone wants us to be and lose our true self. We also need to know that we are where we need to be and we all have wonderful gifts to share. This class will help people stay focused on self and work through any and all obstacles that may come their way. 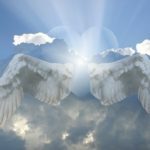 Many years ago, Rayel was divinely guided to Rita Strough who introduced her to her guardian angel and encouraged her to form a lasting relationship with the angels. Since that time Rayel has been actively studying and growing closer to the divine and is inspired to offer this workshop.